Liverpool secured a 2-0 first-leg advantage over FC Porto in the quarter-finals of the Champions League thanks to goals from Naby Keita and Roberto Firmino. The Reds are in control of the last-eight tie before next week's return meeting in Portugal, as they continue to pursue success on two fronts. 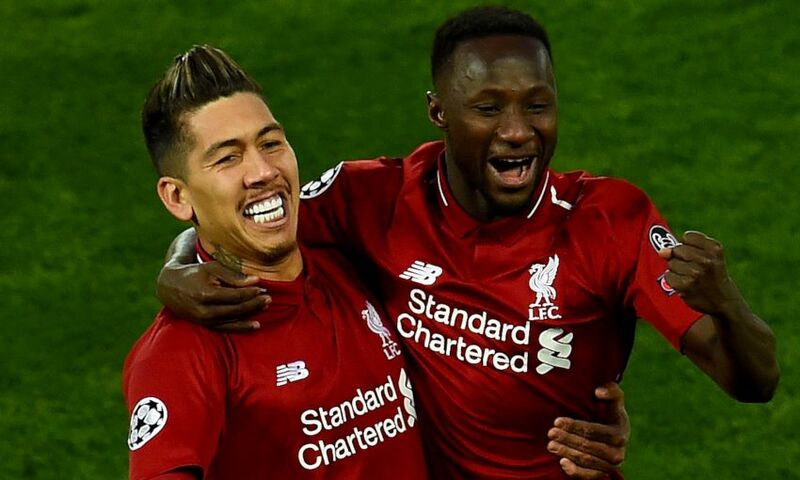 It was Keita's name which echoed around Anfield in the closing stages of an ultimately routine victory over Porto which puts the Reds on the brink of a mouthwatering Champions League semi-final against either Barcelona or Manchester United. Having opened his account in Friday's win at Southampton, he duly celebrated his first goal on home turf to keep Klopp's men firmly on course for Madrid. Suddenly, confidence abounds. This was the dynamic Keita from his Bundesliga days as he won battles in the centre of the park and was a creative force throughout. Jordan Henderson was equally influential throughout with Klopp's decision to utilise his captain's qualities further forward vindicated. The past week has provided a timely reminder that Henderson is so much more than simply a midfielder capable of putting out fires. There's still some work to be done at the Estadio do Dragao next Wednesday night. Porto proved they're no mugs but Liverpool will head for Portugal in a position of real strength. With the firepower at their disposal, they will fancy their chances of finishing the job off. To measure the intensity of the fire now spreading through Liverpool, imagine Mohamed Salah in the fifteenth minute with his team already leading and kicking towards the Anfield Road end. On this occasion, though, he was scampering diagonally across the pitch and towards the Kop as he chased Otavio, the Brazilian midfielder. Fighting for territory and winning a free-kick, Liverpudlians related to the desperation of this moment and even the oldies closest to Salah jumped from their seats in the paddock of the main stand and celebrated like they had witnessed one of his goals. Salah had terrorised Alex Telles, an experienced left-back who has spent time at Galatasaray and Internazionale already in a career which is soon expected to bring him to England or take him to Spain. Salah's shooting in the warm-up was exemplary, the Kop gasping at the magnificence of his accuracy. Though this did not translate into the course of the game that followed, his threat was at a red warning level for Porto's entire defence who struggled to deal with him. In time, Liverpool fans may well look back on this clash with Porto as the night that Keita announced himself at Anfield. Boosted by a perfect start that featured a textbook late-arriving No.8's goal, the 24-year-old went on to produce arguably his best performance in a Reds shirt since his big-money arrival. Keita has long been showing promise in possession when given chances to play, but this was the game in which he finally added the defensive presence demanded by Klopp. The Guinean pressed brilliantly, tracked runners, and showed himself to be the complete midfielder Klopp believed he was getting last summer. Now, he has the chance to emerge as a key man before the end of a season that is sure to feature so many huge games. It's taken Keita a while to find his feet at Liverpool, but these were the kind of nights he was bought for. And as the Reds eased one foot into the Champions League semi-finals, Anfield was treated to its first real masterclass from its Guinean star. Porto, thrashed last season, were put to the sword once more here. Sergio Conceicao hoped his team had learned the lessons of their round of 16 hammering last February, but the Portuguese champions had no answer to Liverpool's superior energy, quality and fitness. It wasn't as conclusive as last year, but it will be hard for Porto to overturn a 2-0 deficit in the second leg, you feel. The goals, naturally, will steal the attention, but Keita at his best will offer so much more. Here, the 24-year-old showcased his full range. Anfield liked what it saw. There was the bite, with no player making more tackles in the game, or attempting as many duels. There was the positional play – only Alexander-Arnold and Fabinho regained possession more often. Keita, more often than not, was in the right place to close down angles, to deny space, to win the ball.